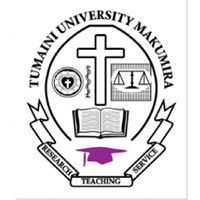 Home / JOB VACANCY / TUMAINI UNIVERSITY MAKUMIRA EMPLOYMENT VACANCIES: ASSISTANT LECTURERS OF ENGLISH LANGUAGE AND MATHEMATICS IS WANTED. TUMAINI UNIVERSITY MAKUMIRA EMPLOYMENT VACANCIES: ASSISTANT LECTURERS OF ENGLISH LANGUAGE AND MATHEMATICS IS WANTED. The duties will cover training secondary school teachers in PITA project (Participatory and Integrative Teaching Approach), an outreach programme of TUMA. and teaching in the undergraduate degree programmes. • A minimum of a Master's degree in English Language (GPA of not less than 4.0); Bachelor's degree (GPA of not less than 3.5), preferably in English (major subject) and History / Geography. • A minimum of a Master of Science degree in Mathematics (GPA of not less than 4.0); Bachelor's degree (GPA of not less than 3.5).